Augustus Loop has been updated to version 1.6.2 in order to fix a graphical user interface issue with certain hosts and notably with Plogue Bidule on Intel-based Macs. Augustus Loop is an emulation of a tape-based delay effect, with some extra features to facilitate its use as a looping device : Really long maximum delay (3600 seconds - that's one hour), Tap tempo and Virtual tape. The delay simulates an old-style tape delay, meaning you can change the tape speed (i.e. pitch up and down), reverse the tape direction, smoothly change the delay time (as if you were changing the head gap on a tape delay). 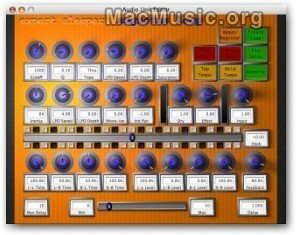 Augustus Loop is available in the MacMusic Software Section.